Now all of the fans across the country have starting to talk smack about the other teams....*yes, I’m still talking about basketball here…maybe at least until the season's over, hehe..so bear with me..=)..* if you visit any message boards in espn.com or cbssportsline.com or any other sports network all you see is this endless message board war, you can smell arrogance and ignorance in every single post. Well that’s not a new story though, cause this is part of what college basketball is all about. I have no problem with that, in fact there were times when I log in and join the riot...hehe..but naah not now..I’ll save my trash talk for later…teeheee. Anyway, I haven’t seen a lot of fans outside my school conference though… I just happened to know texas tech and Georgia fans last year when we got to play them during the ncaa tournament. And they were like..”if your team is within 15 points, that would be an accomplishment..bla bla bla..” and other ignorant comments like that. But when the clock hit 0:00, it was them who had to go back home..HA!!. They think Andre Emmet is the best thing that happen to the world..well..think again!! I have no problem hearing all of the disrespecting comments from the fans though...But it’s a different story if it comes from the media (newspaper, online news, TV or anything), any powerful media that have their share in shaping up people’s opinion. I read an article recently in Omaha World Herald…talking about the ancient Creighton victory over SIU..that’s okay, brag all you want…I don’t care…but then I read a paragraph that creates a bad vibe…insulting and dissing SIU. Our school paper never insulted Creighton, I even read one edition that has korver in it, applauding him for his achievement, although I don’t agree with the article at all. Korver just play an old skool basketball style..happen to shoot well..when left unattended!!!. Anyway, here’s part of the article that I find very disturbing, I’m sure you’ll find nothing is wrong with the article, but lots of people in here think it’s some classless reporting. Maybe it was the obnoxious way SIU has turned this series and "rivalry" into a goofy grudge match. Maybe it was the way SIU Coach Bruce "Whiner" Weber appeared to rub it into CU Coach Dana Altman as Weber accepted the Valley coach of the year award on Friday, calling it the "Dana Altman Trophy". Maybe it was how, for dessert, Weber called out Creighton at the Friday lunch, saying he hoped SIU could play the Jays for the title Monday night. Lesson No. 1: Be careful what you wish for. Maybe it was those wacky T-shirts. The "I H8 CR8N" shirts, worn by students and adults alike, few of whom have been within 100 miles of 24th and Burt. Or the obscene chants at Kyle Korver. Or maybe it was those other T-shirts, the ones the SIU players were wearing as a warm-up on the floor, with the message "Who will be celebrating on Monday night?" on the back, as if to offer the world a big hint. Man….so what If the students wore that "who will be celebrating monday night?" t-shirt…I don’t think that’s arrogance, and I don’t see there’s anything wrong with letting the world know that you want your team to win. And it’s just a legitimate question and we got the answer……so can we just move on now? And those I H8 Creightons t-shirts....what's wrong with that..everybody knows it's an ugly rivalry between the fans and we're just creative like that..*HA!*. About the chanting, yes we chanted at the tops of our lungs, even i did that too...but it goes the same way the other way, their fans were chanting at our players too. And the comments from Bruce Weber.. I’m sure it was purely out of respect, there's a mutual respect between the players and the coaches in those two teams. And the reason why we wanted to play Creighton again was not out of arrogance, the reason was simple… that’s the match up that we needed to get into the tourney and Didn’t Creighton want to play SIU too? It’s also stated somewhere in the newspaper that Creighton students were booing SIU when they saw our name popped up last Sunday. I’m sure SIU probably booing Creighton too when their name popped up but you don’t have to make it public and write it in newspaper and let the world know how much of a hater you are. The writer is trying to stir a pot and creating bad vibe instead of helping people to get along together. Creighton fans are the worst man, I’m telling you, they are nothing but a bunch of whiner, even when they win, they don't take it gracefully, don’t you find it sad that a newspaper has to rip on the other team when their team just won??? That is poor winning, you should have just celebrate it and seize the moment. Like right now, they are whining about being put in the tough bracket, and complaining why the committee is always in SIU favor by putting SIU in the Midwest bracket and a home court advantage by playing in Indiana. Well first of all..this is NCAA..there is no cupcake team in here and if you always brag about how NBA bound your players are then why the hell do you complain about having to compete against tougher team. Champions want to be champions by beating the best team, you dumbass!!!! Erghh, I guess I’m gonna write an email to the reporter and tell him to take Ethic in journalism 101 or something!!!! 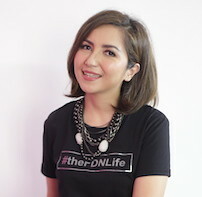 You know what, a few months ago, I read an article about Nafa Urbach in sctv.co.id. it was about her having a throat surgery and basically just telling how miserable she was, couldn’t talk, couldn’t sing, couldn’t do anything. And..at the end of the paragraph, the retarded writer wrote…”BIAR MAMPUS!! !”…heh…..don’t you find it pathetic??? man that is some serious classless reporting and I was mad when I read that I emailed the PR manager right away!!!.. they took those words the next day, hehehe. Man, never ever..in my wildest dream I would dream about standing up for Nafa Urbach..hahaha…I don’t even like the girl…..but hey, I couldn’t just act all cool if I see something that I think is wrong even when others maybe perceive it as trivial…I guess every now and then, somewhere, some place, sometime, you are going to have to plant your feet, stand firm and make a point about something that you believe in..